Some buildings really were built to last. Take The Great Pyramid of Giza, for example. That thing ain’t going anywhere any time soon. But not all buildings last that long. And sometimes they need to be picked up from their original foundations and relocated, even occasionally to different continents. Read on to learn about 7 historical buildings that were relocated to other parts of the globe. Newark Airport’s Building 51 was one of the most state-of-the-art airport terminals in the world back in the 1930s and 1940s. When the airport expanded and built new terminals, Building 51 was turned into office space. 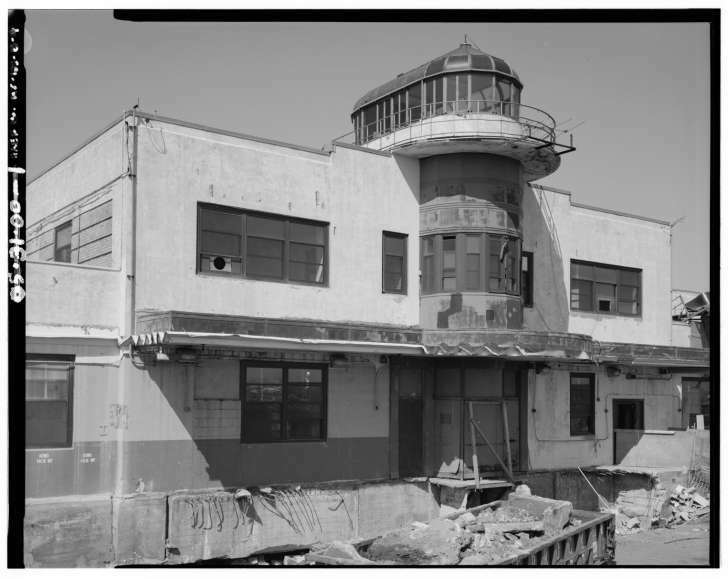 The structure faced demolition as the airport continued to expand, and the decision was made to save and relocate the Art Deco building. It was moved three-quarters of a mile and now serves as administrative offices. The Art Deco lobby is open to the public. Not a building, per se, but a significant historical structure that a lot of people don’t realize is now in Arizona. In the mid-20th century, London Bridge was crumbling. The Brits decided to build a new bridge, and the old one was put up for auction in 1968. 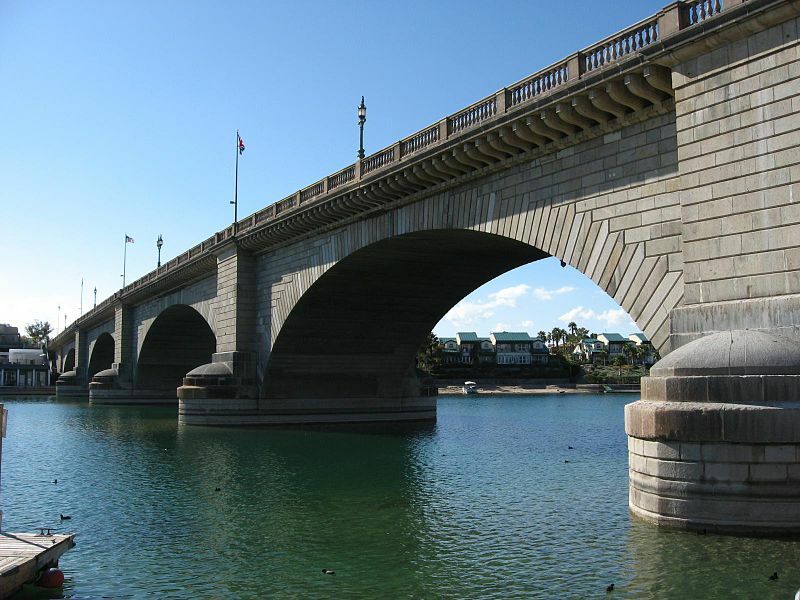 A businessman named Robert McCulloch was building the resort community of Lake Havasu, Arizona and he believed the landmark bridge would boost tourism. McCulloch paid over $2 million for the bridge, which was shipped to the U.S. in pieces and rebuilt in Arizona. This lighthouse was built in 1832 but as the years passed, the cliff it was located near continued to erode, making the lighthouse dangerously close to the edge. 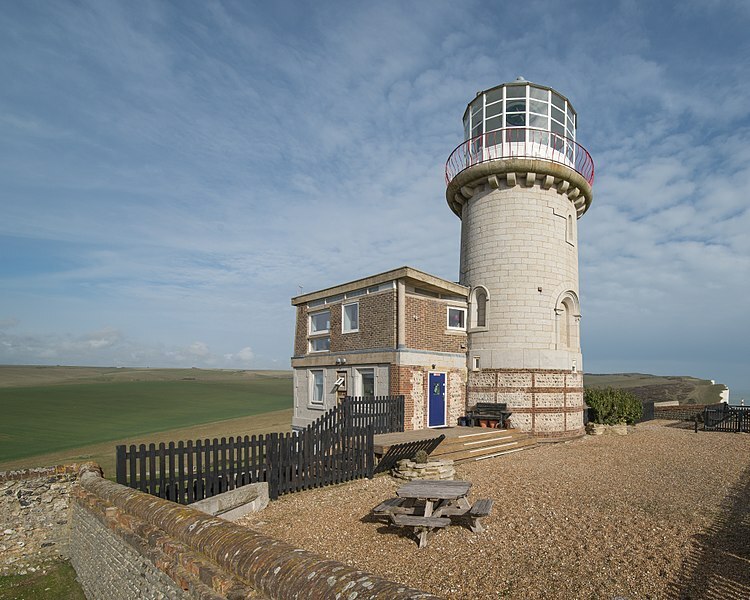 In 1999, the owners finally decided that the Belle Tout Lighthouse needed to be moved if it was going to survive. The structure was lifted, in one piece, and moved 56 feet back from the cliff. It is now a bed and breakfast. 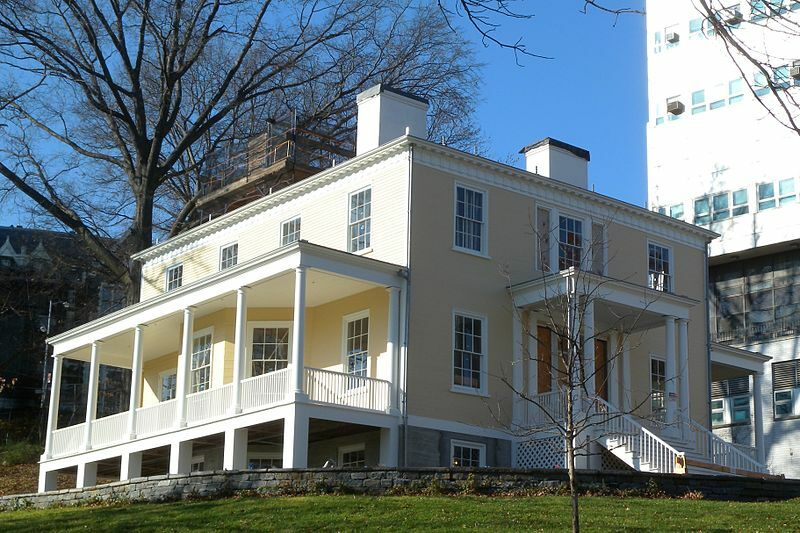 Alexander Hamilton lived in what is now Harlem in New York City in this home on 32 acres. Hamilton’s widow sold the house in 1833 and the city continued to grow around it. The house was moved for the first time in 1889 only 250 feet to be closer to a church and prevent its destruction from street construction. By 2008, the house needed a renovation. The National Park Service moved it a few blocks away to a spot with more land and so it could be restored to its former glory. The Temple of Dendur was completed in Egypt in 10 BCE. A dam and lake construction project in the 1960s threatened the temple and in 1965 Egypt gave the temple to the United States for their efforts in saving artifacts from the new lake as it covered 2,000 square miles of ancient Egyptian lands. 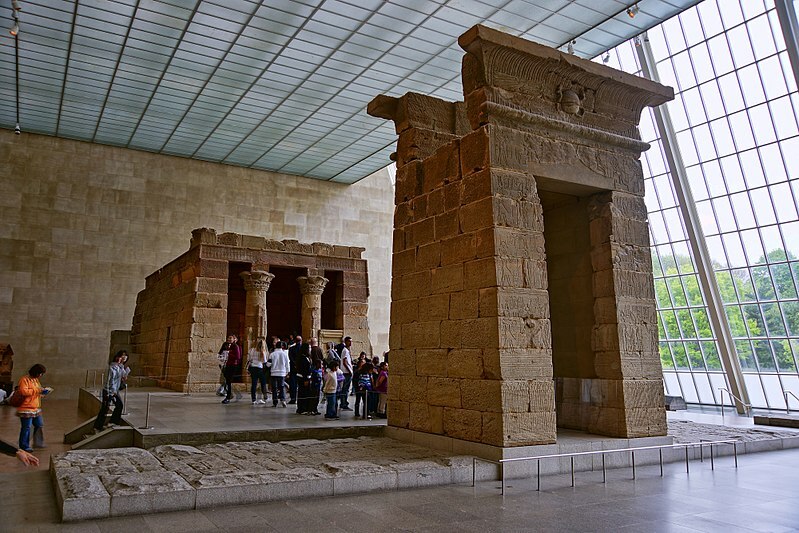 The temple was taken apart in Egypt and shipped to the U.S. From there it was reassembled at the Metropolitan Museum of Art, where it has been on exhibit since 1978. As was the case with the Temple of Dendur, the Egyptian dam project put these two temples that date back to the 13th century BCE at risk. The temples were originally built into sandstone cliffs that overlooked the Nile River. Archaeologists carved the temples into 20-ton blocks, and moved them to an artificially built 200-foot hill atop the original location. William Randolph Hearst was incredibly eccentric, and in the 1920s he dispatched teams of people across Europe to buy artwork for the castle he built for himself in San Simeon, California. One of the items his teams bought was a 12th-century Spanish cloister (a covered walk or gallery) that was shipped to New York in 11,000 crates. The crates were impounded due to fear that the hay they were packed with might contain hoof-and-mouth disease. The hay was eventually burned and the crates were deemed safe for transit, but by that time the stock market had crashed and Hearst had lost mountains of money. In 1952, one year after Hearst died, the pieces of the cloister were put up for auction. 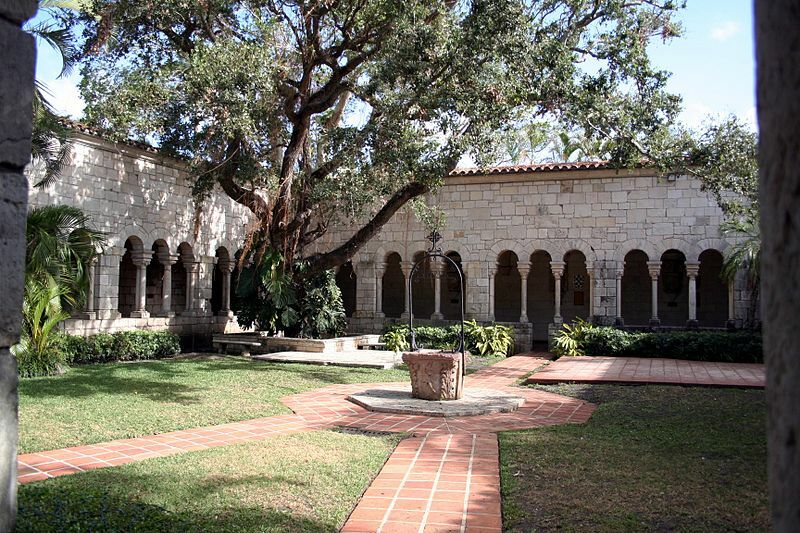 Two Florida men bought the pieces and rebuilt the cloister in Miami, hoping it would become a tourist attraction. The tourists never came, and eventually the structure was donated to a local church.